Home › Life in Christ › 2019 New Testament Reading Plan: Begins in 3 days! 2019 New Testament Reading Plan: Begins in 3 days! On January 7th, we will begin reading through the New Testament – slowly – reading short sections each day for the entire year. Our purpose is to allow time for us to “ponder” (Luke 2:19) what we are reading, and to consider what God may be saying to each one of us personally. Our reading will begin with the Gospel of John and continue with the Book of Romans. 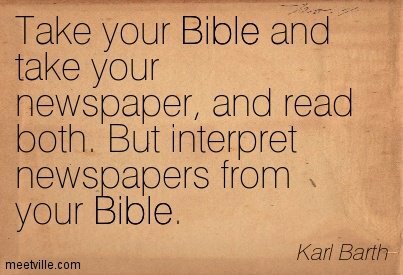 Not to worry – we will read every book in the New Testament, although not necessarily in the order they appear in the Bible. Hopefully our reading order will help us better understand how God’s plan of salvation through Jesus Christ all fits together and applies to us today. I pray that your love will overflow more and more, and that you will keep on growing in knowledge and understanding. For I want you to understand what really matters, so that you may live pure and blameless lives until the day of Christ’s return. May you always be filled with the fruit of your salvation—the righteous character produced in your life by Jesus Christ—for this will bring much glory and praise to God.